A great product I would recommend this to anyone with very damaged hair any hair of any texture. Effectiveness Great product! My hair was very damaged and breaking. This product strengthened my hair and stopped the breaking. Very happy with this product. Scent Has a fruity smell. Delicious scent to your nose, wondeful results on your hair. As a cosmetologist and someone who has been coloring my hair for years I know how damaging coloring your hair can be. This stuff is heaven in a bottle for damaged hair. Whether for dry hair, colored hair, or dull and brittle hair, this stuff is a must. It smells like banana nut bread too! It's very easy to use once a week while in the shower. Just shampoo, apply Joico K-Pak Deep Penetrating Reconstructor and let it sit for 5-10 minutes while you do everything else. It actually goes deep into the hair shaft to repair damage. Doesn't just make your hair look and feel nice, it actually repairs it. You can't get that from your basic conditioner in the shampoo aisle at your nearest store. This product is definitely worst the price and lasts a long time. If you want soft, manageable, luscious hair then this is something you need to try. I've recommended it to all my clients and not one has been disappointed. Joico K Pak saved my hair! I continually abuse my hair with heat styling everyday, and frequently dying and changing my hair color. After awhile my hair became very damaged. It would break off a lot, it was extremely dry, it would tangle up all the time, and it was very fragile. For reference, I had medium length naturally straight medium textured hair, but this product would work on any hair type. I've heard a lot of great things about the Joico K Pak Reconstuctor, and was recommended to try out this product from a few different people. This product saved my hair. I thought for sure I was going to have to cut all my hair off, but this saved my from having to do that. This restored my hair back to being shiny and silky. My hair was no longer dried out, and my hair didn't feel so crispy anymore. I also noticed that my hair was breaking off a lot less. This reconstructor works in such a short amount of time, it's practically a miracle. It rebuilt my hair without weighing it down, not to mention it smells amazing. The only thing about the Joico K Pak Reconstructor is that it's not meant for everyday use. You should use it once a week or twice at the maximum. Overuse of products with protein in them can have the reverse effect on your hair, and instead of making it silky and smooth, it can cause it to be brittle and break off. Especially if you leave it in your hair too long as well. I would totally recommend to try this if you have dry damaged hair. 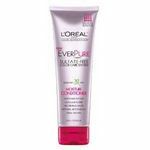 Effectiveness This product helps to rebuild your hair after you've continually damaged it. It makes your hair soft and silky. It moisturizes it, and keeps it feeling healthy. My hair stopped breaking off, and wasn't dried out anymore after using this. Scent It has the same sort of smell like the Bedhead Dumb Blonde Reconstructor has. It smells slightly like bananas. But it's a very soft and pleasant smell. It smells great even after your hair is dried. Had my hair ruined by hair dresses - went from brunette to blonde back to brunette. Getting rid of dead ends with just a hair cut every 3 months is not enough. Using this treatment once a week has really helped improve the split ends in my hair as well as make it grow longer and keep it healthy. Also has that natural shine thanks to this product. 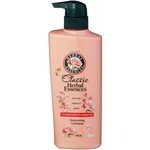 Effectiveness It is an effective product as it rehydrates your hair, fixing damaged ends and gives that glossy look. It helps rebuild your hair which is beneficial for when colour treatments have gone wrong damaging your precious hair. Hair is difficult to maintain but this product certainly helps. Scent The smell of this product is lovely. It is not fragrant free and has a unique scent. It not only smells nice when washing your hair in the shower but even after it has been dried off (blow dryer included) it still smells delightful leaving your hair silky soft and delicious. I got this Joico k-pak deep penetraiting reconstructor for free by purchasing the k-pak joico shampoo and conditioner and let me tell you it worked miracles in my hair. My hair is damaged because its blonde and I alwas use heat on my hair so my hair needs extra conditioning to it. it doesn't smell all that great but it does work awesome. Its works deep into your hair and makes it feel smooth after. I noticed the texture of my hair was instantly softer. Its very thick and rich and the ph balance is right in the middle. Its very moisturizing to the hair and penetraits each hair strand. It makes your hair feel healthy and not hard. Its a bit pricey but its totally worth it. I would tell anybody about this product especially for someone who has coarse damaged hair that needs the extra attention. It leaves my hair looking very shiny and my hair feels like it transformed itself. You will be amazed when you try this. I bought this product from Armstrong McCalls which is a salon professional store. I like the product it seems to make my hair feel less dry. I found that if I use this product plus the joico kpak intense hydrator that my hair feels a lot healthier. I bleach my hair on a regular basis so my hair is dry and extremely damaged. The deep reconstructor actually works great for me because my hair feels dry and I have tons of fly aways and when I use this product it gives my hair a healthier feel and actually helps repair my hair so that I can continue to bleach and straighten my hair without worrying about it falling out, but it doesn't leave my hair quite as soft as I would like so I added a deep conditioning treatment to my hair regimen and that seems to be working out pretty well. It has a wonderful smell and is very easy to apply. Leaves your hair smelling real good and does undo some of the damage to hair. When I found this conditioner about last year, I was looking for something I could keep in my hair overnight and so struggled with purchasing K-PAK because it had so many fine features, but is completely unsuitable to leave in your hair too long due to the protein content. So I threw out my original criteria and started with the trial size tube of Joice KPAK recontructing treatment from Ulta. When I brought it home to use, it turned out I made the right choice as I got everything that I desired to accomplish with an overnight treatment: my hair feeling strong and silky, shiny and healthy - but I was able to accomplish it using KPAK in just 5 minutes! Excellent product! Effectiveness Very effective - surprisingly so in such a short amount of time! When I first read the directions, I was concerned because I certainly didn't believe the results I was hoping for could be achieved in just 5 minutes, but I was also conflicted because I knew that leaving a protein heavy product such as is this in my hair for too long is ill-advised. So I went ahead and followed the directions (5 minutes) and was very pleased! Scent The scent has a hint of banana, to me anyway. 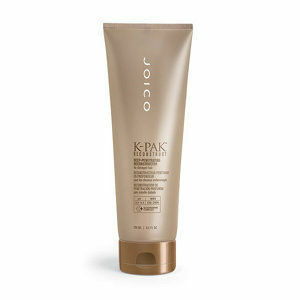 The Joico K-PAK reconstructing line is marvelous for dry, damaged hair. I have long, non-dyed hair that I straighten or curl on a daily basis. My hair starts to feel like straw after a couple months. With the Joico K-PAK Deep-Penetrating Reconstructor, my hair feels silky smooth and looks much healthier. This is the first product I have used to fix my damaged hair and I don't see myself switching anytime soon. I have been using the product a couple times a month for three months now and I see a large improvement in the way my hair looks and feels. My hairdresser even complemented on how healthy and different my hair looked. Plus, this conditioner is very easy to use! Just wash your hair, let it dry enough such that it is damp and not soaking wet, apply the deep-penetrating reconstructor, put your air up in a towel or clip it up for a couple minutes, then wash it out. I highly recommend this product! I have seen this product available in Marshalls, Publix and a few other very accessible stores, which I love. I bought it to use as a conditioner. Love it. 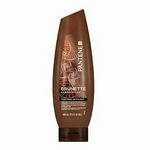 Very smooth, works great on my color-treated hair. Not too pricey, about what you would expect to pay for a quality hair care product. Smells good also. 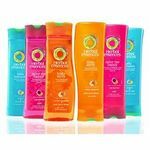 Because the deep treatment works so well, I'm eager to try other products from this brand, especially the shampoo. Effectiveness Leaves my dry, color-treated hair silky and ready to style. Easy to use, in a tube style container. Not messy, not greasy. Doesn't leave my hair feeling weighted down. Scent Smells great. Nothing too overbearing but smells clean and soft. My hair has been through so much this past month.I did my dramatic change from being a brunett to a blonde.I ended up doing my hair brunett again and my hair is so fried,and brittle. Feels like gum!!! :/ but I just purchased the kpak from joico treatment,it feels smoother but still have the fried hair.